The kitchen is by far the most complex room in the home. There are cabinets, countertops, lights, sinks, and, of course, loads of appliances. And behind all of that is the wiring providing all the electricity. The good news is that electrical codes are updated frequently to meet the demands of a modern kitchen, and if you do nothing more than follow the minimum requirements of your local electrical code, you'll be in pretty good shape. On top of that you can always add circuits to meet any custom needs of your design. The basic requirements are discussed here to give you an idea of what goes into a modern kitchen wiring plan. If you're designing your own kitchen wiring plan, the most important resource to use is the local electrical code. It most likely will follow the National Electrical Code (NEC) but may have additional requirements not included in the NEC. In any case, the local code is the law, and your electrical installation must meet all applicable rules of the code to pass inspections. Another great resource for kitchen designers is the National Kitchen and Bath Association (NKBA). 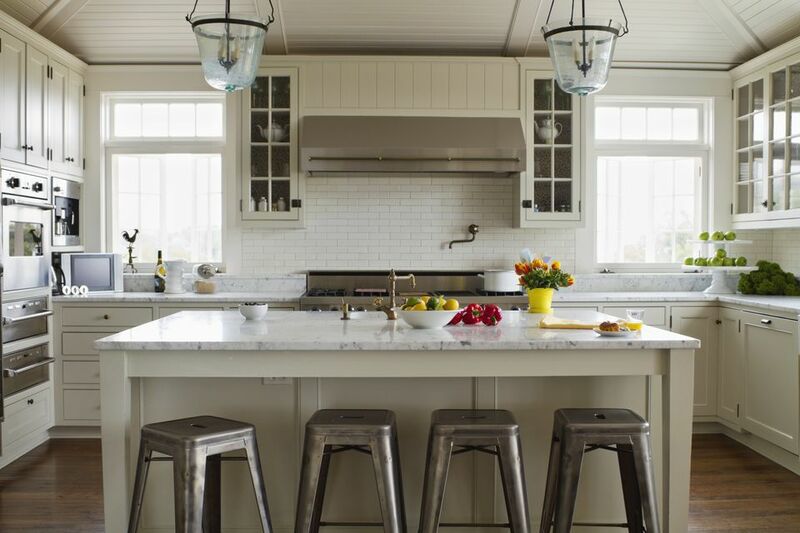 This highly respected professional association for kitchen, bath, and interior designers offers plenty of expert advice on its website and print materials, including help with planning all aspects of a kitchen remodel and additional recommendations for wiring beyond the NEC requirements. A kitchen wiring plan is made up of three main type of circuits: general lighting, small appliance, and permanent (or large) appliance. General lighting circuits supply electricity to all room lighting, including overhead, task, and accent lighting. Small appliance circuits serve receptacles (outlets) in the kitchen countertop areas, providing power for plug-in or portable appliances. Permanent appliance circuits supply fixed appliances, such as ranges, cooktops, ovens, garbage disposers, dishwashers, and built-in microwaves. Many permanent appliance circuits are dedicated circuits, meaning that each circuit serves only one appliance. Rules about which circuits must be dedicated vary among local codes, so be sure to follow the specific requirements for your area. Two 20-amp small appliance circuits serving all countertop receptacles and most wall receptacles in an adjoining dining room and pantry. These circuits may not include lighting or fixed appliances but may supply a receptacle for the refrigerator. Lighting circuit with at least one light controlled by a switch located at the room’s entrance. Countertop receptacles may be no more than 4 feet apart and no more than 2 feet from either side of a sink. All countertop spaces 12 inches and wider require a receptacle. Receptacles my not be mounted faceup on countertops and must be no more than 20 inches above countertops. All receptacles serving kitchen countertop areas and all receptacles within 6 feet of a sink must be GFCI-protected. Here Are Some Odd Kitchen Islands That Are Rounded. Why?